Complete Kit Car is for car freaks, are you one? It is a complete package on all the news and views of cars from every decade starting from the early 20th century. 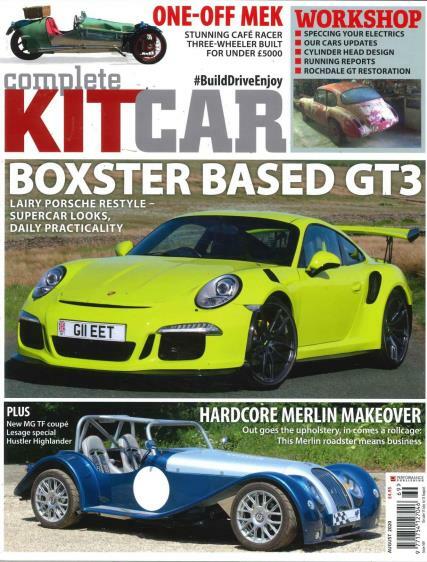 Buy a single copy or subscription to Complete Kit Car magazine. They have articles and features with all the technical details you have been looking for, all the new models that are making the news and all the reviews from the experts that you have been waiting to hear. Do you follow car shows with a passion? Now you can read about them, with a magazine delivered right at your doorstep. It is the Complete Kit Car magazine that will bring you up, close and personal with all the models you love and all the bits of information you did not previously have. They have fantastic reader-editor interaction, which helps the magazine remain on top. You as a reader have a lot to contribute to the content and presentation of the magazine. The glossy, high-quality pictures are a treat to any viewer’s eyes and they serve a dual purpose. Not only are they aesthetically pleasing but the specific angles of photography also contribute to a better understanding of the model and its structure. It is a direct glimpse into the making and manufacturing of your favorite models and all the expert opinions of all the automobile experts in the market.